Do you desire to pursue higher education? Earning a degree is well within reach! Project Bridges is committed to helping pastors, ministers and lay leaders receive relevant and timely training to solidify their biblical worldview while also strengthening academic know-how. Bridges has been blessed to develop three strong partnerships with stellar Christian educational institutions. Congregants and staff of our member churches, as well as nonprofit members and their staff, are eligible to apply each year for a 25 percent tuition discount at these unique institutions. (Some restrictions apply). BREAKING NEWS … Denver Seminary became our newest education partner in January of this year! Denver Seminary’s Washington, DC campus provides opportunities for working adults to pursue a seminary education. Through flexible online and on campus delivery of programs, Bridges members can utilize the 25 percent tuition discount toward a Master of Arts, Master of Divinity or Graduate Certificate offered at the DC campus. Not sure? Click here to take a FREE online course! For more information about Denver Seminary as well as their upcoming open houses, visit http://www.denverseminary.edu/dc/. Busy adult learners have several options to apply their 25 percent tuition discount at Lancaster. Prospective students looking to complete an associate’s degree or bachelor’s degree may consider one of the undergraduate degree (AUD) accelerated tracks. 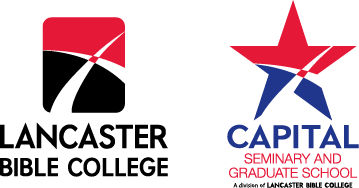 Lancaster also offers graduate and seminary degrees for those looking to take the next step in their educational or career path. With a Greenbelt, MD campus, students in the DC metro region have options to take classes onsite or online. We are delighted to welcome Dr. Michael Black as the new Dean and Site Director for the Greenbelt campus. To attend one of Lancaster’s information sessions at the Greenbelt campus, visit https://www.lbc.edu/infosession/. Several of our Bridges members are currently enrolled. We’ve asked two – Pastor William Covington and Paulette Wilson – to share about their experience and provide an insider’s perspective. Read their stories. Well known for its flexible, online courses, Regent University was recognized by U.S. News & World Report as #1 in Virginia for Best Online Bachelors and Graduate Education Programs, 2017, and one of the top 20 Best Online Bachelor’s Programs in the country, 2016. Regent also offers a lovely residential campus in Virginia Beach, Virginia for young people who want a more traditional college experience. Did you know that Regent has a film school and a law school? 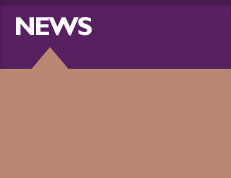 For more details about the university and its Project Bridges connection, click here. To get an inside look at Regent, two Project Bridges scholarship recipients Reverend Lois Nicholson and Minister Sean Varnado, shared their personal stories. You can read them here. We hope you will consider one of these great schools. Also, be sure to spread the word to those within your ministry or organization about the wonderful educational opportunities available to our Bridges members!